December 8, 2016 December 8, 2016 Richard SheppardComments are off for this post. I missed the Cloverdale Antique Auto Show last year but I wasn’t about to miss sketching it this year! 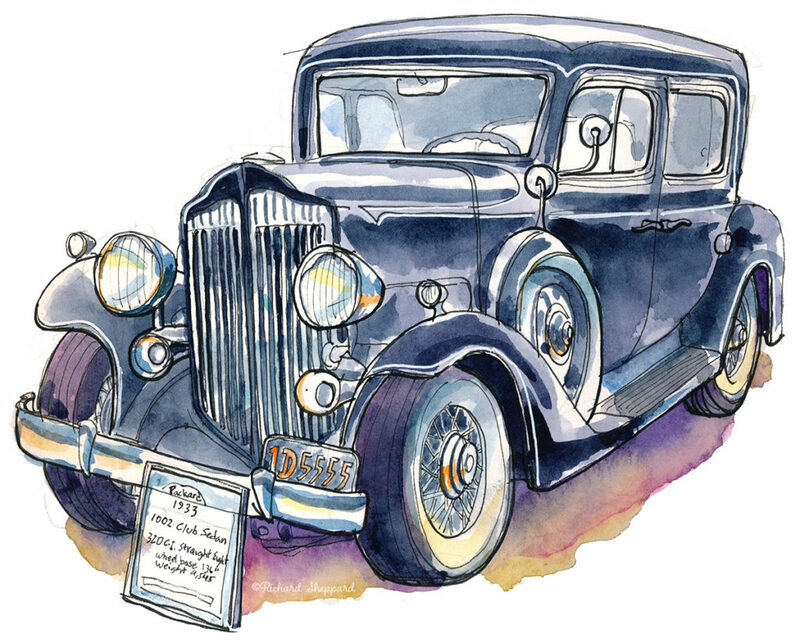 I chose an 1933 Packard, 1002 Club Sedan as my subject. Beautiful car. The day was topped off with all of us sketchers diving into an extra large pizza at Papa’s. September 14, 2016 September 14, 2016 Richard SheppardComments are off for this post. 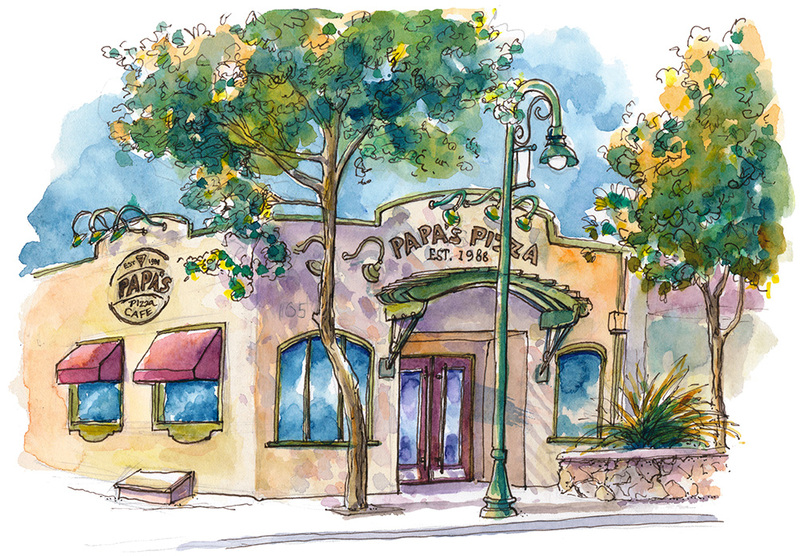 Last month, Papa’s Pizza of Cloverdale, CA moved to a new location on the corner of Cloverdale Blvd and First St. The new cafe is beautifully decorated with stone walls and wood paneling. Adding to the fun, they’ve tapped many new microbrews such as Knee Deep Brewing’s Breaking Bud, The Waldos’ Special Ale, and Mojo Chocolate Milk Stout.They also have a nice selection of wine by the glass. But best of all, the pizza still tastes great, just like it always has. May 1, 2016 March 20, 2017 Richard SheppardComments are off for this post. 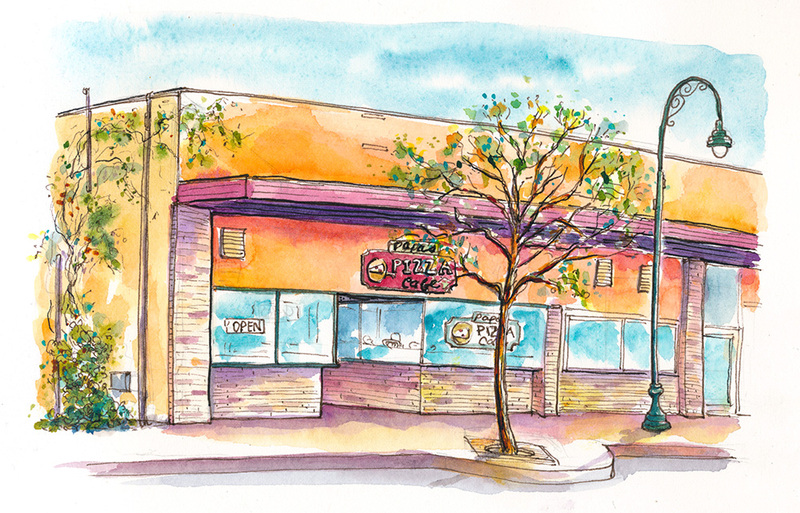 This nondescript, rundown old building, has been the home of Papa’s Pizza Café since 1988. You’d never know they make terrific pizza. 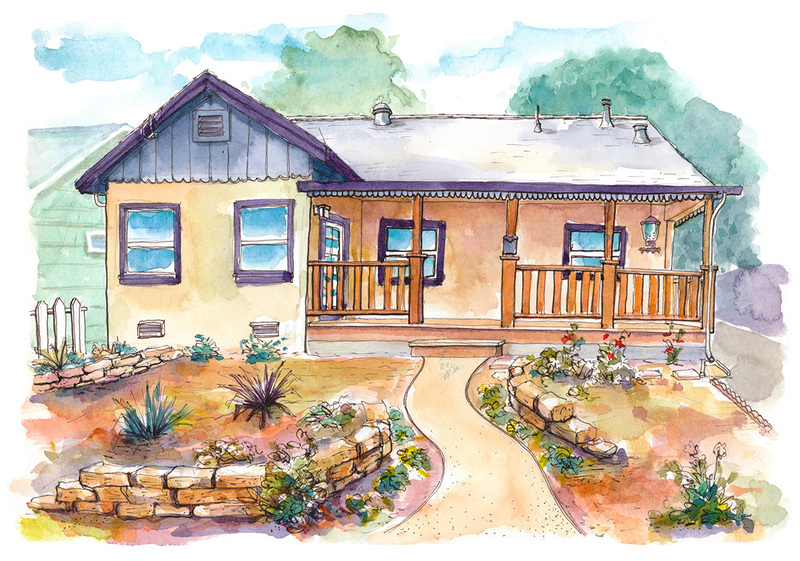 But tomorrow, March 21, they’re moving to a new location, about a block away in Downtown Cloverdale, CA. 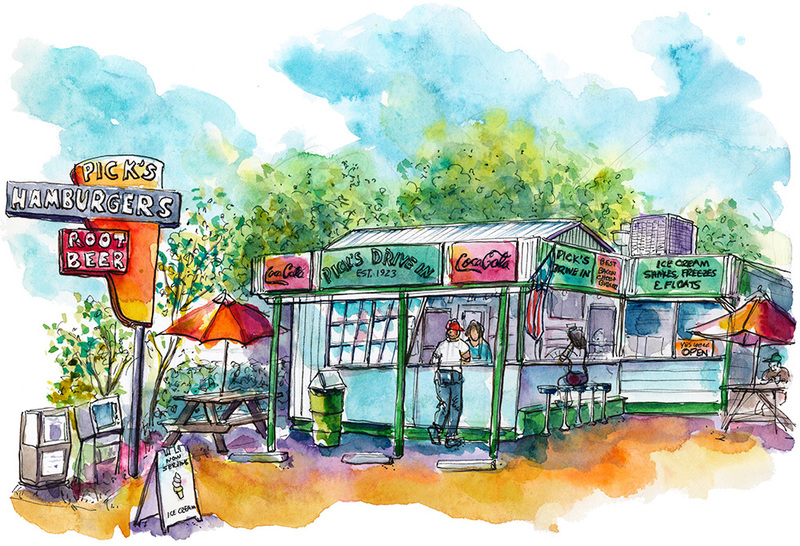 I sketched this yesterday before the sign was taken down. March 20, 2016 Richard SheppardComments are off for this post. 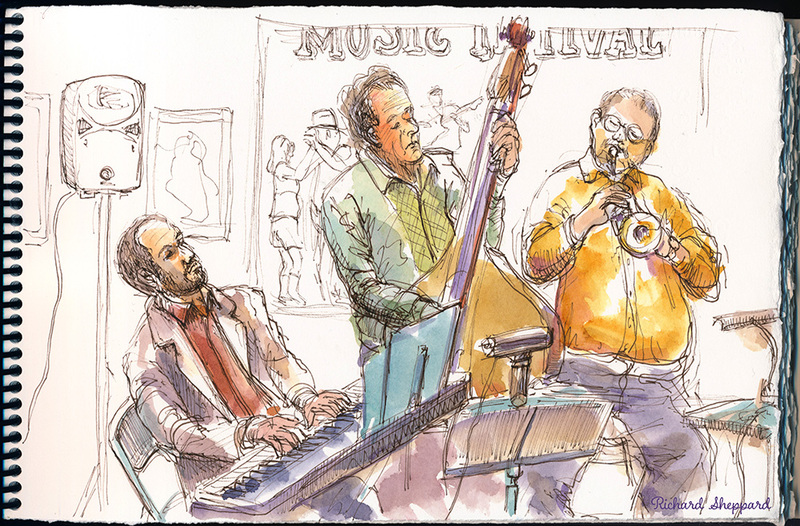 I don’t think there’s a better way to break in a brand new sketchbook than going out and listening to some Jazz. Once a month the Cloverdale Arts Alliance presents The Jazz Club. Tonight was Chris Amberger and Friends playing classic and chamber jazz with intricate solos and duets. Members of the group have played with Tom Dorsey, Richie Havens Show, Ella Fitzgerald, Mel Torme, Rosemary Clooney, Glen Miller Orchestra, Frank Sinatra, BB King, and Ray Charles. What a great evening of art and jazz. January 7, 2016 Richard SheppardComments are off for this post. 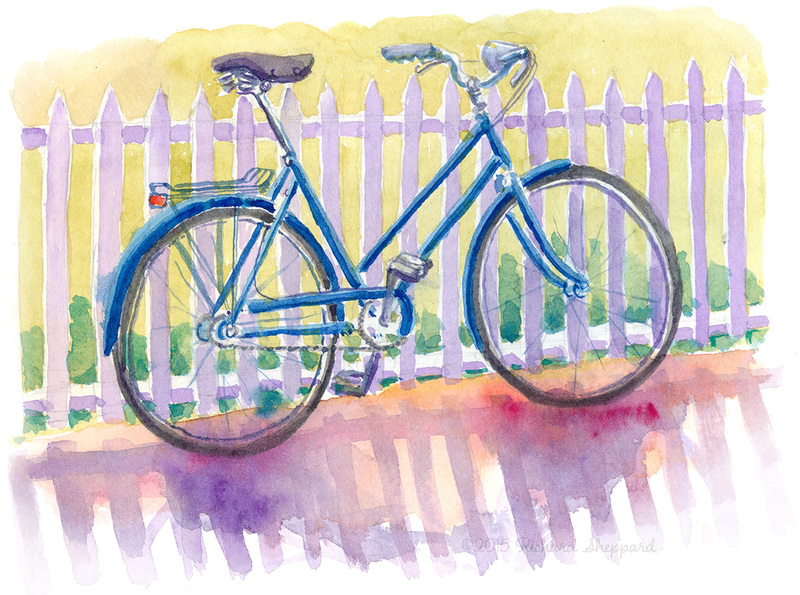 While getting a coffee at Plank in Cloverdale this morning, I spotted this classic, blue bike parked next to a white picket fence. I couldn’t resist parking myself for the next couple of hours capturing it in my sketchbook. Just as I finished the painting, I man in a cool black hat claimed his bike. After discussing my sketch, he acknowledged he too was an artist and used to teach Design at the College of Arts and Crafts in Oakland. Turns out he created the cover for Taj Mahal’s Mo’ Roots album back in 1974. January 10, 2015 January 10, 2015 Richard SheppardComments are off for this post. Pick’s has been a local favorite in Cloverdale since it opened in 1923. Serving much of the same menu it did when it opened, bacon double cheese burgers, french fries, grill cheese sandwiches, and milkshakes, a few notable things have changed. Today all the burgers are made with hormone free Niman Ranch meats and veggie and black been burgers have been added to the menu for the health conscious.Â Although chain restaurants have recently created business competition, it’s greatÂ to see that a classic independent eatery with good food and a friendly staff can hold itsÂ own in this corporate 21st Century world. September 14, 2013 November 24, 2013 Richard SheppardComments are off for this post.